Michele Bilyeu Creates *With Heart and Hands*: AAQI Sprints to a Grand $1M Retirement Finale! The Alzheimer's Art Quilt Initiative (AAQI) is racing to the finish line with a grand finale....we hope to realize our $1,000,000 goal in 2013! So, with all of that in mind, Ami Simms and the AAQI Board of Directors have reached the consensus that the AAQI fund raising efforts will close at the end of 2013. This has been a fabulous, fabulous project and it has done amazing work! We will continue to register quilts donated through August 1, 2013 of this year, to sell them and to raise additional funding for AAQI with the goal of hitting that million dollar mark with one big, gigantic, and fabulous hurrah for everything that Ami has done, her fabulous core group of volunteers have done, and most of all.....every single thing that every single one of US has done to bring this group to this awesome finish line! And for all of you who are asking WHY..WHY is this the last year? “When I created the AAQI back in 2006, I never expected it to become so successful,” she said. “I also never imagined how much work it would take to keep it going. As the AAQI blossomed, board members and core volunteers have had to increase our hours and pace to keep up. While I find enormous satisfaction in nurturing the AAQI, I much prefer sewing to administrating. I miss just being a full-time quilter. More than 13,000 quilts have been donated and to date more than $883,000 has been raised. “For many donors,” Simms said, “these quilts were healing works of art that helped them grieve as they stitched for the greater good.” AAQI has also sponsored two traveling quilt exhibits which have been viewed by hundreds of thousands of people. "The Alzheimer’s Art Quilt Initiative will most likely reach the $1,000,000 mark in money raised for Alzheimer’s research some time in 2013! The work of your hands and the compassion in your hearts has brought us to this milestone. I will be forever grateful to each and every one of you for your support and dedication. What began as one person’s response to sorrow and frustration has grown into a national charity embraced by a large portion of the quilting community. More than 13,000 quilts have beendonated, turning sweat equity into over $883,000 for research so far. For many donors these quilts were healing works of art which helped them grieve as they stitched for the greater good. Hundreds of thousands of people have seen the AAQI’s two traveling quilt exhibits about Alzheimer’s. Through this artistry came the realization for many that they were not alone on this journey of heartbreak; others understood, perhaps for the first time, what a diagnosis of Alzheimer’s really means. Together quilters have funded 11 research studies at six universities and a medical school. Three more studies will be funded this month and hopefully more throughout 2013. Because of the AAQI, scientists know a little bit more about Alzheimer’s than they did before. Hopefully this understanding will bring us all closer to a cure. When I created the AAQI back in 2006, I never expected it to become so successful! I also never imaged how much work it would take to keep it going. As the AAQI blossomed, board members and core volunteers have had to increase our hours and pace to keep up. While I find enormous satisfaction in nurturing the AAQI, I much prefer sewing to administrating. I miss just being a full-time quilter. February 15, 2013: All bookings for the traveling exhibit “Alzheimer’s Illustrated: From Heartbreak to Hope” must be finalized. March 1, 2013: First online auction of quilts from “Alzheimer’s Illustrated: From Heartbreak to Hope” traveling exhibit. Twenty-six Name Quilts will be auctioned during the first 10 days of March, April, May, June, July, August, and September. Payment will be required at the conclusion of each auction with shipping in October 2013 after the exhibit retires. The 54 Priority: Alzheimer’s Quilts from the traveling exhibit will be auctioned during the first 10 days of October and December. July 2013: Last month to participate in the Quilt-A-Month Club. August 1, 2013: Last day to register Priority: Alzheimer’s Quilts. Quilts delivered to scanners after August 20 will be refused. October 29 – November 3, 2013: International Quilt Festival. We hope to be invited back one last time to sell quilts in Houston, TX. December 30, 2013: Last day Priority: Alzheimer’s Quilts can be purchased online. 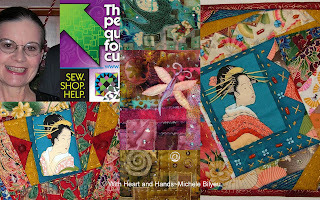 December 31, 2013: Quilts For Sale and Donation pages will be removed from the AAQI website and all solicitations will cease. 2014-2015: The Alzheimer’s Art Quilt Initiative will monitor research grants awarded in 2013. The AQQI web page will be left intact for at least six months. Any funds not needed to sustain the AAQI’s final expenses will be donated to research. Remaining assets will be disposed of according to IRS regulations after which time the corporation will be dissolved. There is still much work to this year as we sprint to the finish line. I hope everyone who reads this will join in, either as a seasoned veteran or a first time quilt donor or quilt buyer. We will continue to make a difference until the very last quilt is sold. Let’s make 2013 the best year ever! That's something else. You should all be proud of yourselves. If it weren't for this blog, I would never have known about this group. I think it's been such an inspirational story for all of us who like to donate to charities of any kind. Thanks for all you do in so many ways. Don't know how you do it all, but it's way cool! Congratulations on all of your hard work. I applaud all of the volunteers and of course, Ami Simms, herself. I can't even imagine how much work this must be but it is an inspirational project. I second all of the above. Others have asked me about this and I just tell them to come here as you are always in the know. you have done a wonderful job with all of this project. Bittersweet, but what a ride! Ami and crew are amazing. I thank them for all their hard work. It's a lofty achievement. Congratulations to Ami and AQQI - that's a remarkable achievement. A bitter-sweet moment indeed but one that has to come if Ami and the board members are to regain their lives. Congratulations to all the quilters involved too. What a beautiful thing. We CAN be the change we want to see in the world.